After a few years of absence from the World stage, 7 teams of 6mR sailors from Finland, Switzerland, USA (St Francis YC, Seawanhaka YC), Great Britain and "International" convened at the Royal Vancouver Yacht Club in Vancouver, B.C., Canada for an excellent and challenging weekend of sailing, socializing and generally having fun. 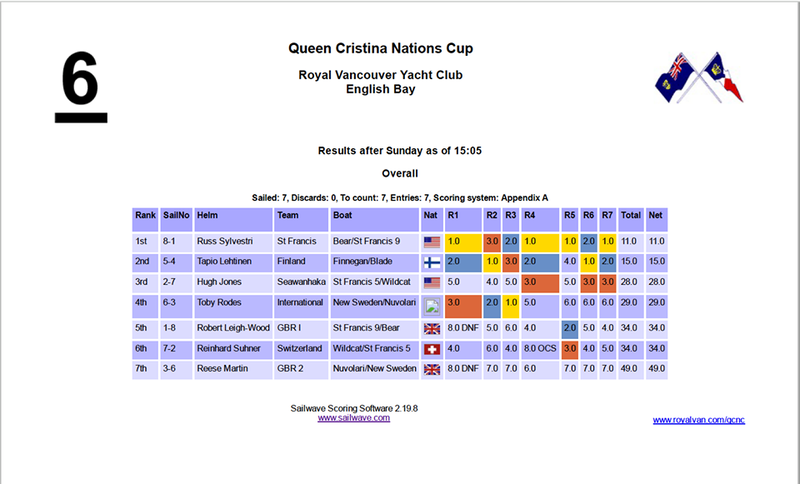 Russ Silvestri and his team from the St Francis Yacht Club came away with the Aquavit in varied conditions that tested all sailors and their rain gear. Album of photos by Dana Olsen. 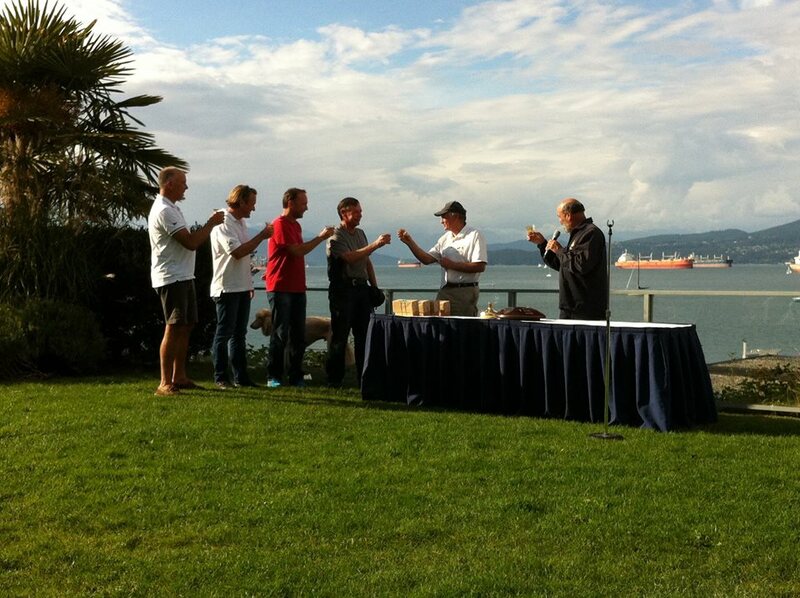 Russ Silvestri and team make their aquavit toast with former Czar Kimo Mackey presiding over the trophy ceremony. English Bay, site of the 2017 International 6 Metre World Championships stretches in the background.